U8 season consists of a 1 hour weekly training session and a match on Saturday morning. Training will be held at Jack Cook Memorial Park, Gailey Road, Toowong. The training day your team is allocated to will be dependent on field and parent coach availability. Click HERE for training days & times for the season. U8 games are all played in-house against other Taringa U8 teams and there is no travelling for U8 players. All U8 Saturday games are played on Field 3 SEE MAP at Jack Speare Park with game kick-off times of 8am, 9am, 10am & 11am. Game times will vary for each team every week. The first game will be Saturday 27 April 2019 and training commences the week beginning 22 April 2019. The season will run for 18 weeks, concluding early September. Players will be allocated to a team and parent coaches are required for all U8 teams (please contact Cindy Bacalakis inhousejuniors@taringarovers.com.au if you can assist). 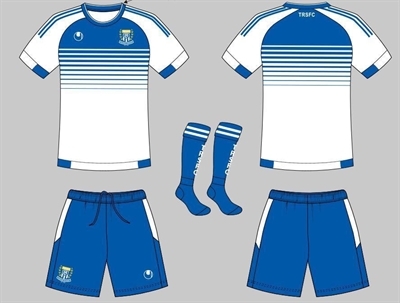 In 2019, all new U8 players to the club will be provided with a TRSFC Playing Kit as part of their registration fees. Please choose the “2019 New Members Players Kit” in the uniform shop and indicate required size. Kits will be available for collection prior to the season commencing. Click here for the details of the format and rules for mini-roos games including number of players on the field, field size, ball size etc. It is the responsibility of the home team to provide a game leader/referee - the game leader should be familiar with the rules of the game as detailed in the link above. Teams playing the first game of the day are to set up the field. Teams playing the last game of the day are to return the goals. This applies for training also & will be updated by 4pm in the event of rain on a training day.